Women's Gold & Silver Heart Necklace : LOVE2HAVE in the UK! 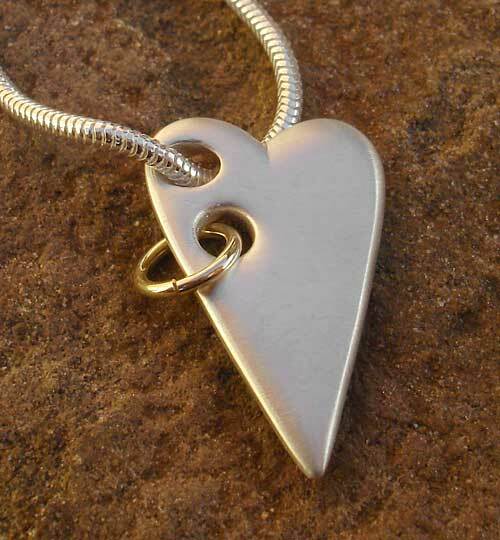 A women's gold and silver heart necklace. 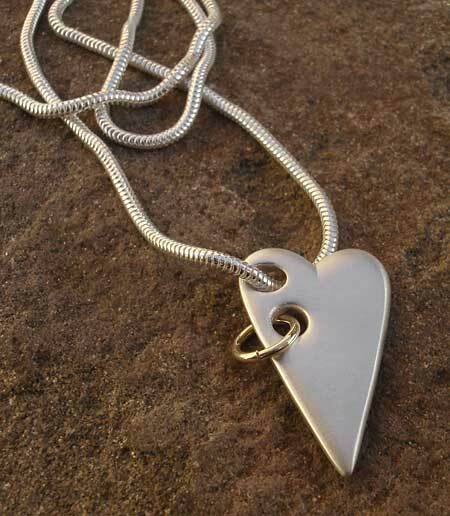 We also call this necklace the silver folk heart. It has a lovely understated yet stylish and straightforward design. The heart is quite flat in shape with smooth rounded edges and measures approximately 23mm x 15mm. It features a small hole on one of its sides in which is threaded a 9ct yellow gold hoop. The heart itself sits on a 16-inch silver snake chain that again comes threaded through a hole sitting on the hearts upper portion towards one if its top sides, meaning the heart dangles attractively at a slight angle when worn.